Successfully Added UHD 4K Wi-Fi Action Camera “PowerVision” - IP68 Waterproof, 120 Degree Wide Angle, 2 Inch TFT LCD Screen, Remote Control to your Shopping Cart. 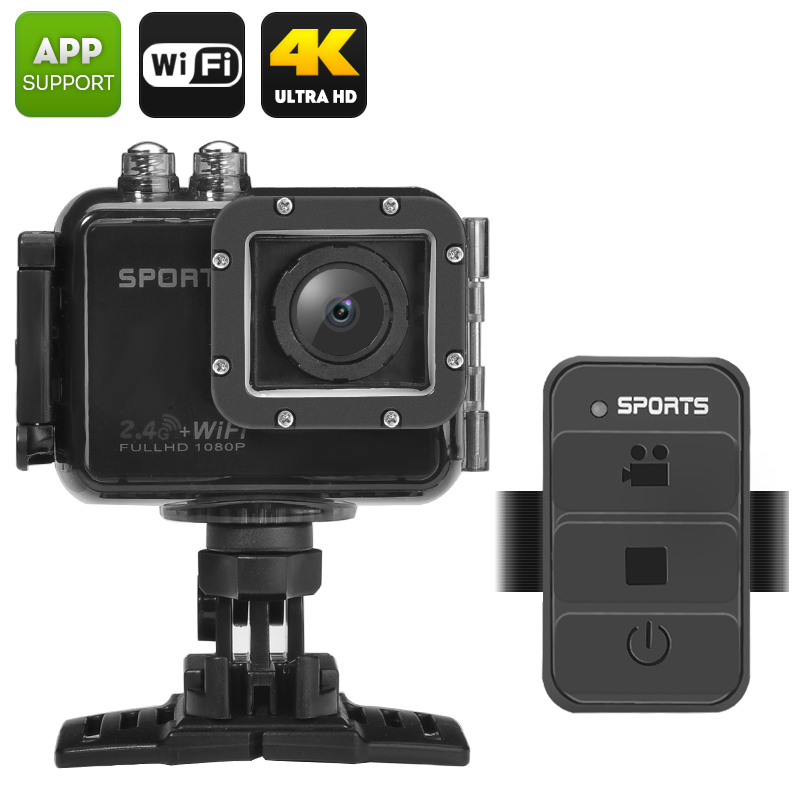 Live your life in 4K Ultra HD with the compact Wi-Fi action camera “Power Vision”, coming with a 120 degree wide angle lens, a 60M waterproof case and an extra attachable battery. Great events in your life deserve high quality recognition. With the Power Vision Ultra HD camera, you will be able to create stunning videos with 4K resolution at up to 10 frames per second and 1080P resolution at 60 or 30 frames per second. The 1/4 Inch 20MP SONY CMOS Sensor will also get you amazing photos and the 120 degree wide angle lens will ensure that no background detail goes missing in your shots. Getting great angles and snapping photos at the right moment gets loads easier with the remote control. Simply strap it onto your wrist and trigger the camera at any time you think best, with one simple press of a button. With the 4K action cam, you will be able to live your adventures anywhere. Thanks to a sturdy built 60M waterproof case, the camera will do its job well both on land and underwater. The PowerVision action cam lets you review all your pics and videos right then and there on a conveniently detachable 2 inch TFT LCD screen. You will also have a great option of sharing them to your social media or sending to friends and family thanks to the action camera’s Wi-Fi support. Alternatively, wait till you can hook up the cam to the big screen through its mini HDMI cable for full resolution playback. The Power Vision Wi-Fi camera comes with a built-in 1100mAh battery plus an extra removable battery of the same capacity. With them, you get double the usage time and will be able to get capture more stunning views. The UHD 4K Wi-Fi Action Camera “PowerVision” comes with a 12 months warranty. Brought to you by the leader in electronic devices as well as wholesale action cameras..